JACKSON, Wyoming — Last last month, U.S. Ski & Snowboard announced that Bryan Fish had been promoted to cross country sport development manager. 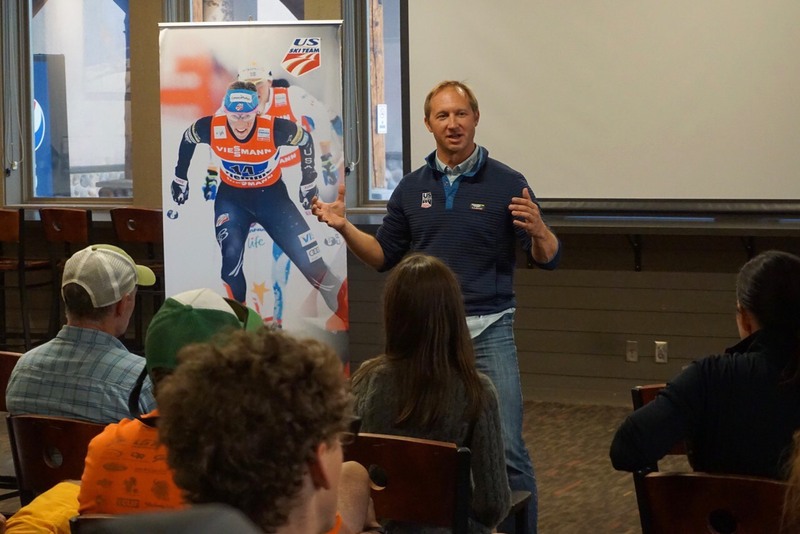 FasterSkier sat down with Fish on Sept. 14 at Jackson Hole’s Center for the Arts, where he was leading a Level 200 coaching clinic, to learn more about this transition and how his new position will support the national development program. He also provided insight into the development program’s philosophy and goals for the coming years. Fish originally joined U.S. 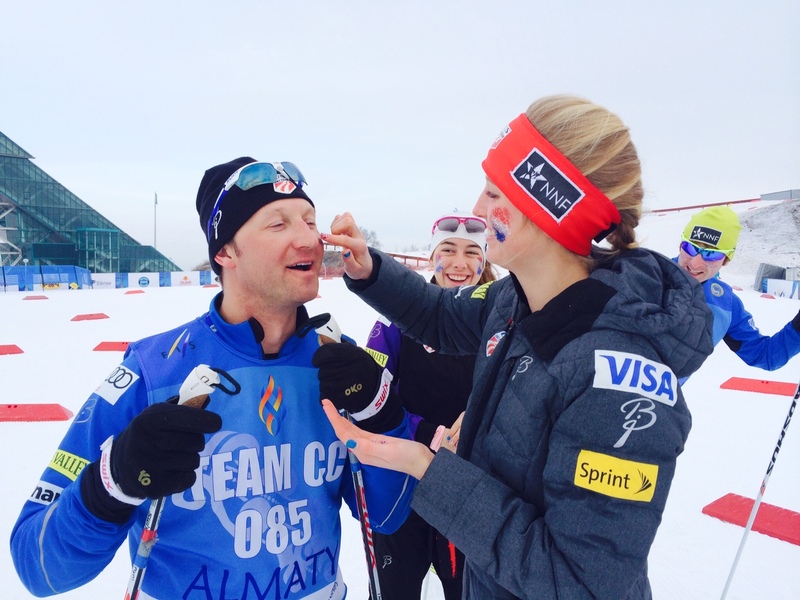 Ski & Snowboard as the cross-country development head coach in 2010, after starting the Central Cross Country (CXC) Elite Team in Wisconsin and coaching there for four years. Before that, he was head nordic coach at his alma mater, the University of Wisconsin-Green Bay, from 1998 to 2006. During his last eight years with the national team, he has been the primary development coach and spearheaded sport education to create resources for club coaches and athletes nationwide. 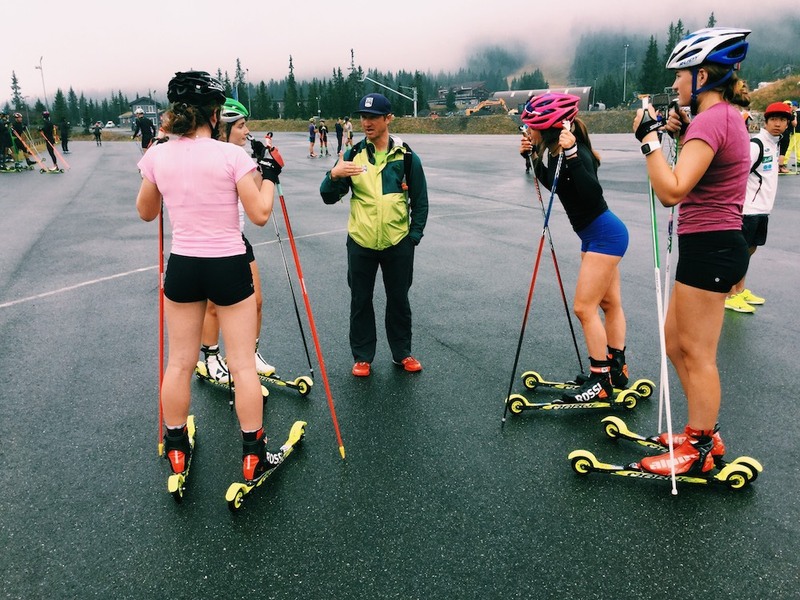 As U.S. nordic skiing at the elite level has steadily improved, the development program for juniors has grown and evolved in response. His new sport-development manager position was created to reflect the challenges and demands of a growing development program and recognize that the current group of junior athletes has seen a unprecedented level of success in international competitions. At last season’s Junior World Championships in Switzerland, the U.S. claimed three cross-country medals; Hailey Swirbul with silver and bronze in two individual races and the U.S. junior men’s team (Luke Jager, Hunter Wonders, Gus Schumacher, and Ben Ogden) with silver in the 4 x 5-kilometer relay. Fish’s new role will include many of his previous responsibilities while reducing certain aspects of his former position, which made it more difficult for him to focus on the development program itself. Additionally, a sport consultant who will be based year-round in Park City will be hired to take over office-based work such as uniforming, helping with the competition guide, and data analysis through points at the SuperTour and Junior Nationals. This person, who Fish said will be hired in the coming weeks, will devote about 80 to 85 percent of their time to cross country and the remainder to the all-sport needs of U.S. Ski & Snowboard. “One of my strengths is working with the athletes in the field, and we want to maintain some consistency with the international competitions like Junior World Ski Championships, World U23’s, OPA Cup as well as some of the national-level junior camps that we do in the summer,” Fish said. “I will still continue to do that. Fish’s approach to leading the development program is focused on process goals, creating opportunities for athletes in all regions and at all levels, and providing club coaches with tools to create successful programs. He hopes to develop a systematic process for juniors to excel in skiing that’s both clear and transparent. In order to gauge the success of this approach and the development of junior athletes, Fish offers an approach that is not solely based on results; in fact, success in competition is only one of the three aspects involved. In order for these three components of growth to be possible, opportunities for athletes of all ages and abilities must be available. He described another three-step model for developing programming at any level. To him, the word “pathway” implies that there are many entry points that can lead to success in skiing, especially when one’s individual goals are taken into consideration. 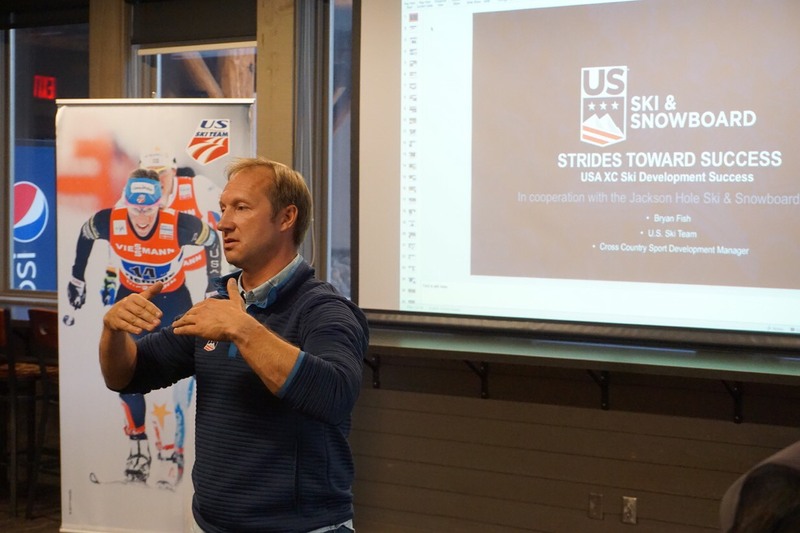 Fish emphasized that access to quality programming from a young age is essential to the success of U.S. skiing as a whole. He said coach education is crucial to this aspect of creating valuable opportunities for youth, as are the clubs that plant the seeds for success and are most responsible for cultivating a love of the sport. Programming should also be similar across the country. “We want to make sure that a skier in California is somewhat similar in level to the athlete in Maine and getting the same opportunities,” he said. In his time with U.S. Ski & Snowboard, Fish has assisted in the development of resources for coaches, such as the Level 100 and 200 certification programs. However, in recent years, his focus has shifted away from some of the minutiae of technique and physiology toward a more pedagogical approach, which he hopes to continue to spread in his new role. Fish also stated that partnership with coaches and technicians from around the country fills essential gaps in support at international junior competitions, in turn providing valuable professional development opportunities for the club staff. Training camps are another powerful tool, Fish said. “There’s no more powerful coach than other strong teammates and an environment of training,” he said. “A perfect example of that is our last camp that we just came from in Norway, the International Junior Camp. Asked about the dilemma some athletes face when choosing whether to ski in college or take a post-graduate year, Fish said that decision should not be viewed as black and white, and it should reflect the athlete’s individual strengths and goals. Though he is often in support of a post-grad year, he understands that not all athletes at that age are mature enough to handle the transition being a full-time athlete and still need an additional outlet, such as taking classes or a part-time job.